Aston Villa have secured a crucial 3-2 win over relegation rivals Queens Park Rangers in a thrilling six-pointer at Villa Park to move six points clear of relegation zone. QPR took the lead when midfielder Jermaine Jenas tucked away the rebound after Zamora’s effort has been denied by Guzan in the 23rd minute of the game. Aston Villa leveled the game just before the half-time whistle by courtesy of Agbonlahor’s header. Andreas Weimann put the Villans in front with an excellent finish in the 59th minute. Townsend scored an equalizer with a left-footed shot in the bottom right corner with 17 minutes to go. 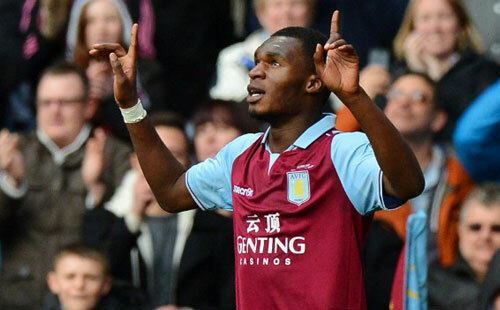 Aston Villa prolific striker Benteke tucked the ball into an empty net to restore the home side’s lead in the 81st minute of the game. Benteke’s impact has delighted the fans with his late goal. Aston Villa secured their second win in a row to end their disappointing run of form in winter and revive the hopes of salvation this season.